This clip is about Christians praying for each other at Lakeland revival with many getting healed. Che Ahn led the service that night. Testimonies include healing from back pain, knee pain, neck pain, cancer pain in lung, flat-footedness, and Parkinson's disease. Every believer has been given the authority of Jesus and the power of the Holy Spirit for healing through prayer and faith in His name. The fellow who posted this video titled it "A Scoffer's Nightmare!! Regular Christians used for Healing!" You'll see some of his comments superimposed on the clip. Sid Roth, host of It's Supernatural TV program, had this interview with Todd Bentley concerning the Lakeland healing revival. Here is a clip Todd Bentley doing an interview with Geraldo Rivera concerning his healing ministry and the Lakeland revival. The current revival in Lakeland, FL, has met with resistance in some Christian quarters, though there have been many people saved, healed and delivered of demonic oppression, all in the name of Jesus. When this is pointed out, however, critics often respond, as they have done to many past revivals, with these other words of Jesus: “Many will say to Me in that day, ‘Lord, Lord, have we not prophesied in Your name, cast out demons in Your name, and done many wonders in Your name?’ And then I will declare to them, ‘I never knew you; depart from Me, you who practice lawlessness!’” (Matthew 7:22-23). Both Scriptures are true, but there are some important distinctions to note. First, notice that Jesus did not say that “All who say to Me, ‘Lord, Lord …’”He did not even say most. He only said many. “In that day,” that is, the day of His kingdom, there will be many who will say that they have prophesied, cast out demons and done many wonders in the name of Jesus, though Jesus does not know them or claim them as His own. How they are able to perform such miracles is unclear, and beside the point. The point is about knowing Jesus, or more importantly, being known by Him. Does this mean that all signs and wonders done in the name of Jesus should be rejected? No. Does it mean that healing miracles and exorcisms have no value for confirming a message or ministry? Again, no. George O. Wood, General Superintendent of the Assemblies of God, in a recent statement on revival (not specifically addressing the current “Lakeland Outpouring,” but certainly with it in mind) said, “Miraculous manifestations are never the test of a true revival – fidelity to God's Word is the test.” The article, for the most part, is nicely balanced, with appropriate words of caution. But I would like to take issue a bit with the above quote. The bone I pick is a little one, the difference between the and a, but I think it is an important distinction. The Lord used these signs to confirm the word preached by the apostles. It helped to establish the message that was brought. Now, miraculous manifestations are not to be divorced from the message of the Bible, or else they have would have no determinative value for us. After all, signs are indicative and as such must have something to which they point us. Signs that are from God point us to the Word of God and the message of the gospel. True signs confirm the Word. Any sign that is contrary to the Word is to be dismissed. Any sign that accompanies a false gospel is likewise to be rejected. So while it is true that signs by themselves are not the test of revival, not able to authenticate a message or ministry, they do have an important role to play in confirming the word of the gospel. Alone they give us no help at all, but as accompaniment to the Word and the gospel they have great value. Here is a 14-part video series by Charles and Frances Hunter on "How to Heal the Sick." Episodes vary in length, with many about an hour long. It is a course in healing ministry. "Faith in the promises of God is the most important aspect of the ministry of divine healing, as well as the way to a walk in divine health. 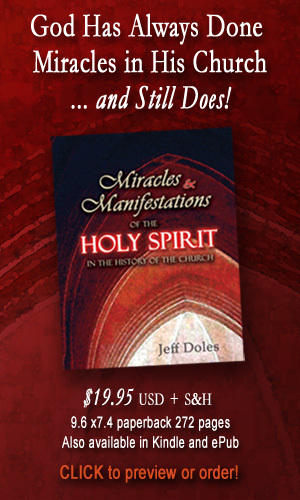 Jeff Doles has labored diligently to correctly lay out those healing promises in such a manner that this book can be both a refreshment to the soul of an individual needing a wonderful touch of Christ, or the person who is desiring to operate in the ministry of divine healing and setting people free. I would also recommend this book to every Healing Team/Healing Rooms ministry as an important working instrument for their own faith and the building of faith in those to whom they minister." A number of healing miracles have been checked out by independent investigation through personal interviews and testimonies. Diabetes healed. Cystic fibrosis healed. Muscular dystrophy healed. Spinal disease healed. Leg lengthened. Cracking sounds in knees eliminated. Cysts and scars disappear. Much more. This accompanying link gives more on the healings, including contact information on those who give testimonies to the healings they received in Jesus' name through the Florida Outpouring. Todd Bentley had a word of knowledge about somebody who was deaf for 54 years. A woman came forward who was deaf in her right ear for 54 years. After healing prayer in the name of Jesus, she received her hearing in that ear. A man is healed of rheumatoid arthritis. His left foot was is no longer in pain and his fingers have straightened out. Another man is healed of a stroke. He was on thirty-eight different daily medications. He was a heart patient on the list for a transplant, which he no longer requires, and he does not need his wheelchair any more. One of the more dramatic instant healings was witnessed in a house meeting as a woman who has dealt with Fibromyalgia was released from the constant pain of the disease. Diane recalls that she will never forget the look in the eyes of the woman as she realized that she was pain free. Since then, six other people in the area have been healed from this crippling disease; some instant, others within a few days. One of the people even got healed while in the waiting room of their chiropractor. Read the full report, by Nick Shepard, here. Since, moreover, you are close upon Italy, you have Rome, from which there comes even into our own hands the very authority (of apostles themselves). How happy is its church, on which apostles poured forth all their doctrine along with their blood! Where Peter endures a passion like his Lord’s! Where Paul wins his crown in a death like John’s! Where the Apostle John was first plunged, unhurt, into boiling oil, and thence remitted to his island-exile! — from The Ante-Nicene Fathers, Volume 3, "The Prescription Against Heretics," chapter 36. Tertullian tells us that John was plunged into boiling oil and yet was unhurt. A man died and his family requested that GodTV and the revival be played at the all-night wake. They declared that their brother not be embalmed. At 2:19 a.m., the man began to stir in his coffin. He sat up, praising God. Then he began telling about his journey to heaven and how he thought he would never come back to earth. A 23-year old man was found dead early on Wednesday morning. He was rushed to Lakeland Regional Hospital (Lakeland, FL), and placed on full life support, though he had no vitals and no brain activity, and the doctor said he had no hope. The family was called in and advised that it was time to pull the plug. The family had been at the healing revival and brought a prayer-cloth, which they placed on him Wednesday evening, praying over him in the name of Jesus. Thursday morning, the young man revived with full vital signs, internal organs now fully functioning. The current revival in Lakeland, FL, being conducted by Todd Bentley, has received quite a bit of criticism from certain sectors of the Church. Dr. Gary S. Greig, is currently the senior editor of theology and acquisitions for the Regal Publishing Group, and former associate professor of Old Testament and Hebrew at Regent University School of Divinity, has written a detailed 55-page response to ten of the most common objections, called A Theological Response to Criticism of the Lakeland Outpouring and Todd Bentley: BIBLICAL REASONS TO RECEIVE GOD’S GLORY AND GIVE IT AWAY IN POWER EVANGELISM (in PDF). Dr. Greig received his Ph.D in Near Eastern Languages and Civilizations from the University of Chicago in 1990. He is the editor, along with Kevin M. Springer, of The Kingdom and the Power: Are Healing and the Spiritual Gifts Use by Jesus and the Early Church Meant for the Church Today?, which includes contributions from J. I. Packer, Jeffrey Niehaus, Wayne Grudem, Stanley M. Burgess, David Lewis and John White. Raised from the Dead: A 21st Century Miracle Resurrection Story is a 56 minute video released by Christ for All Nations (founded by evangelist Reinhard Bonnke). It documents how Daniel Ekekchukwu, a Nigerian pastor who was fatally injured in an automobile accident, was certified dead and even embalmed, was miraculously restored to life after three days through prayer and faith in the name of Jesus Christ. You can view it here for free. Heide Baker, of Iris Ministries, tells how a blind Muslim man receives his sight in the name of Jesus. His Muslim friend gets healed also, and both get baptized in the name of the Father, the Son and the Holy Spirit. Saved and healed—double sight! "During church in Pemba, Mozambique, a totally blind muslim man recieves prayer for healing in the name of Jesus .. . and gets totally healed!!! This miracle happened right in front of my eyes ... this muslim man not only recieved physical sight, but he got saved and baptized in Jesus' name! Just as in the book of Acts, God confirms His gospel through signs and wonders through the hands of His Church." Todd Bentley received a word of knowledge that God was going to heal a man who had been deaf for 34 years. Then he felt lead by the Lord to call for revival in Baltimore, MD. A man came up on the platform who was a pastor from Maryland who had been deaf in his right ear for 34 years--to the day. Bentley prayed for him and he was healed on the platform. Now he can hear fine. The Azusa Street Revival (1906-1910) is pretty well known in Pentecostal and Charismatic circles for the revival of the gift of tongues. But reading through They Told Me Their Stories: The Youth and Children of Azusa Street Tell Their Stories, I am learning that there were other marvelous manifestations of the Holy Spirit, including numerous healings, the unusual appearance of flame above the meetinghouse, and the experience of what those in attendance called the "Shekinah Glory." This book is composed of testimonies often repeated to Tommy Welchel back in the 1960s by men and women who were children and teenagers during the Azusa revival. Now they were residents of Old Pisgah Home, in Los Angeles, and Welchel, being a new believer, would literally sit at their feet, eager to hear their stories over and over. They gave account of many of the miraculous healings they had personally witnessed, and often even participated in, though they were only children and teenagers at the time. Some were themselves healed. Blind eyes were made to see, deaf ears heard, tumors vanished, cleft palates joined together, new teeth appeared, broken bones were made whole, amputated limbs were restored, and those bound in wheelchairs received strength to walk, run and dance for joy. Many of these witnesses also told about the unusual flame that would often appear above the meetinghouse. It was described as a fire coming down from heaven to meet a fire that was going up from the building. There were also many who experienced the "Shekinah Glory," an unusual cloud of mist that regularly settled in the meetinghouse. It was believed to be a visible manifestation of the glory of the Lord. At times it was thick enough that children could play "hide and seek" in it. Sometimes it settled love to the ground and people would lay down in to breathe in the glory. A few tried to capture it in a jar, only to find that it would soon evaporate. 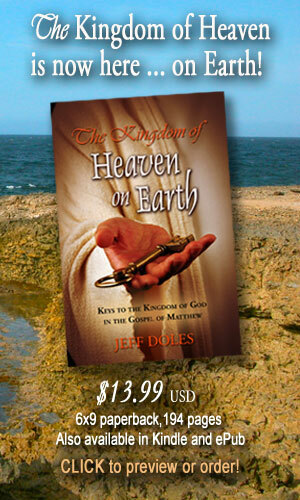 Many simply breathed it in, some describing it as an experience of heaven or as breathing pure oxygen. A hundred years ago, the revival at Azusa Street signaled a fresh and powerful move of God. About a hundred years ago, Charles Parham, who had witnessed a stirring of the gift of tongues in Topeka, KS, just a few years prior, prophesied that in a hundred years, another revival would come that would be even greater. William Seymour, who led the Azusa revival, similarly prophesied about a greater revival that would come in another hundred years.